Exhibiting an innate, passionate musicality and brilliant technical mastery of the piano well beyond his years, fifteen-year-old virtuoso pianist and composer Talon Smith has already won Gold at the 2016 Gina Bachauer International Junior Artists Piano Competition and has performed with orchestras and in many solo artist concerts. Talon’s energetic and musical performances put on display his gifts of authentic depth and rare sensitivity. He feels his music, and so does his audience, through his genuine, emotionally moving musical performances. Superb tone, remarkable timing, and poetic phrasing layered with extraordinary levels of stunning color have moved his audiences to laugh and cry. According to the experts, this young pianist is extraordinary in many ways – he has a distinct voice, a remarkable sense of musical structure, intense poetry, and he is complimented by strong sets of fingers. 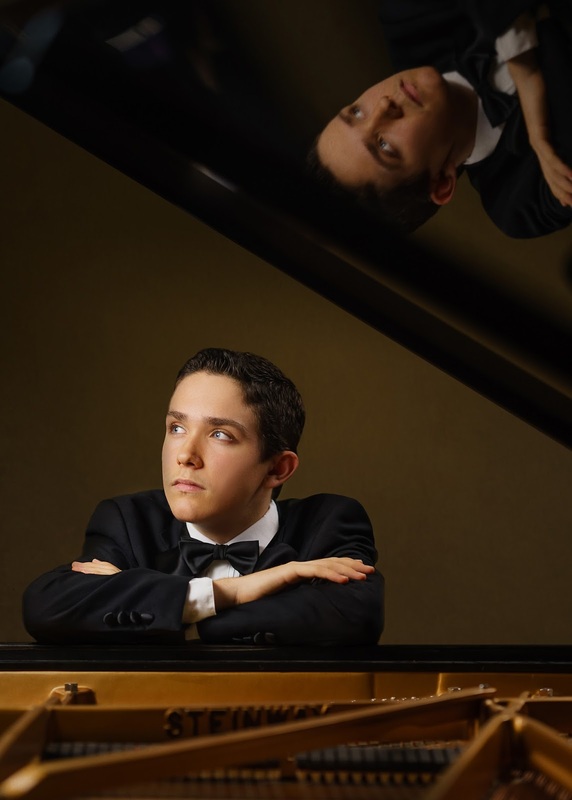 Talon’s career has been marked by many successes in piano and composition competitions. Here is a partial listing. He won first prize in the following Music Teacher’s Association of California (MTAC) competitions: Central California Solo Piano 2014 and 2015, Central California Baroque Festival 2013, 2014, and 2015, Southern Region and State Solo Piano 2016, and the Southern Region Concerto 2017. He also has been a prize winner in MTAC State Own Composition Competition 2014, 2015, 2016, and 2017. Also, he won first prize in the following United States Open Music Competitions: Solo Piano 2016 and 2017, Open Own Composition 2016 and 2017, Concerto Senior Division 2017, and Concerto Open Division 2017. In addition, Talon also won first prize in the following competitions: Sylvia M. Ghiglieri Solo Piano 2015, Glendale Solo Piano 2016 and 2017, Paderewski Solo Piano 2016, Parness Concerto 2016, Robert Turner Concerto 2017, and the Kathryn Gawartin Chopin Competition 2017 and Mondavi Center Young Artists Competition (2nd).